The Welcome Dinner scheduled on November 26, 2017, will be the perfect occasion to network and meet the other participants. The night will start with a reception around the pool and will be followed by a seated dinner. This will be a great opportunity to celebrate the beginning of the course. The barbecue night scheduled on November 27, 2017 will be held at the main golf course of the resort. The Golf Club is part of the “top 100” golf clubs in the world and was designed by Thomson Perret & Lobb Golf Course Architects and is inspired by traditional English-style heathland courses. This dinner will be the perfect occasion to relax in a nice environment and taste good quality food cooked on an open fire outdoors. A buffet will be at your disposal throughout the night. The Turkish night scheduled on November 28, 2017 will be the perfect dinner to discover Turkey. The Ottoman Army Band will welcome the guests by playing local Turkish songs. In an eastern setting, you will have the pleasure to taste different Turkish street specialties such as Turkish Şerbet, sweet drink prepared from fruits or flower petals and Turkish Macun, sweet and colorful Turkish toffee paste prepared with herbs and spices. The welcome girls dressed with traditional costumes will make you discover further Turkish delights and a buffet will be at your disposal with typical dishes. To continue the evening, a seated dinner will be organized in an Arabian Nights setting. 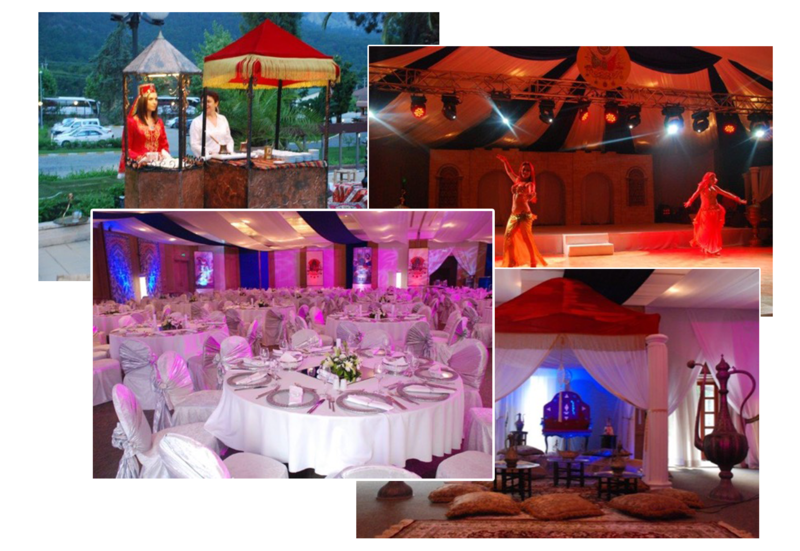 Throughout the night, the dinner will be animated by oriental music and different shows. The Belly dancers will perform their typical dance having a complex movements of the torso. To keep memories of this night, the sultan chair will be the perfect spot to take pictures.